Do you avoid smiling because you are self-conscious about the appearance of your teeth? If so, a smile makeover may be the right treatment option for you. At CR Smiles – Meridian Dental Care, Dr. Kooyman combines his experience and eye for beauty with the latest technologies and materials to create amazing results by combining several procedures into a smile makeover. If you are unhappy with the appearance of your smile, contact CR Smiles – Meridian Dental Care to schedule a smile makeover consultation at our Meridian and Boise-area practice. 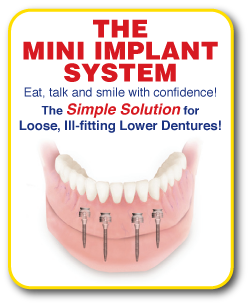 With a smile makeover at CR Smiles – Meridian Dental Care, you will receive a treatment plan that is completely customized to your needs and desired outcome. Dr. Kooyman combines cutting-edge technology with his experience to create the smile you have always dreamed of. No matter your dental issues, he can combine several procedures, from teeth whitening and porcelain veneers to Invisalign® orthodontics* and dental implants, to give you an optimal result. One of the main benefits of a smile makeover is that it allows us to combine several procedures into one comprehensive treatment plan. At CR Smiles – Meridian Dental Care, we have the added benefit of being able to combine several procedures into a single office visit through the use of sedation dentistry. In addition to saving time and trips to our office, sedation allows you to remain completely relaxed during your treatments. Anyone who has multiple dental issues and who is unhappy with the appearance of his or her smile can benefit from a smile makeover. You are an especially good candidate for a smile makeover at our Boise-area practice in Meridian if you suffer from any of the issues listed below. Your journey to a beautiful smile begins with a smile makeover consultation with Dr. Kooyman. He will speak with you about what you don’t like about your smile and perform a thorough examination. He then takes the time to prepare a fully customized treatment plan to address your issues. This treatment plan may include cosmetic dentistry procedures to address aesthetic issues, restorative dentistry procedures to correct functional issues, and general dentistry procedures to improve dental health. We want you to have the best outcome possible. That’s why our smile makeovers are all-inclusive. 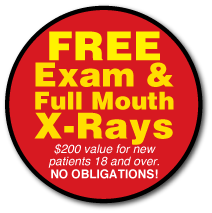 If something unexpected comes up during treatment that wasn’t in our original plan, such as the need for a bone graft for a dental implant, we won’t charge you extra. Dr. Kooyman also takes extra time in every aspect of a smile makeover to make sure that it is done right and your desired outcome is achieved. If you are unhappy with your smile, contact CR Smiles – Meridian Dental Care in Meridian to schedule a smile makeover consultation. Dr. Kooyman will examine your smile, speak with you about your goals, and develop a customized treatment plan to address your individual issues. Dr. Kooyman has helped patients from throughout Boise, West Boise, Eagle and surrounding areas enjoy an improved quality of life through smile makeovers. * All orthodontic procedures are performed by a general dentist.